VESSEL IS AN INSTALLATION CREATED AT ELSEWHERE MUSEUM IN GREENSBORO, NC. IT EXPLORES WHAT IT MEANS TO PRESERVES ONE's IDENTITY. Below is a full write up about Vessel by Elsewhere Museum. 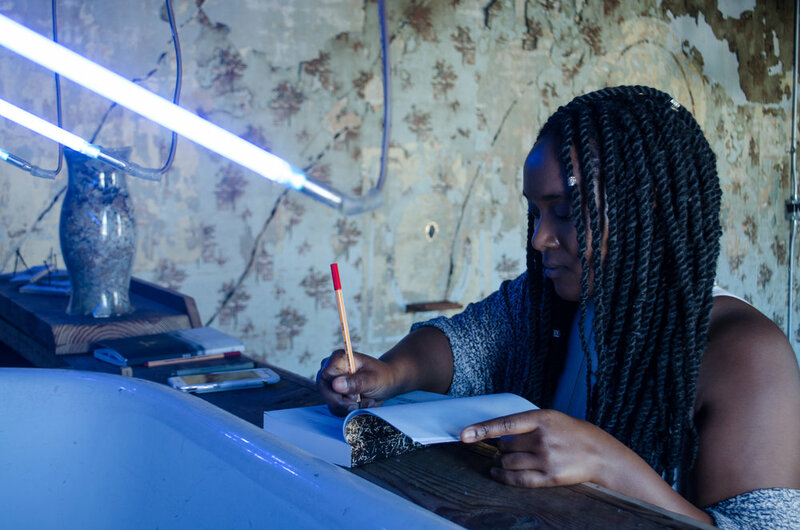 "Vessel is an installation that explores what it means to preserve one’s identity, which the artist believes involves more than the traditional ways of record keeping such as census records and birth certificates. Inspired by the way Elsewhere functions as a living time capsule where physical records of artists are preserved, built upon, and revisited, Larkin sheds light on her own ancestral lineage and the narratives of people of color. 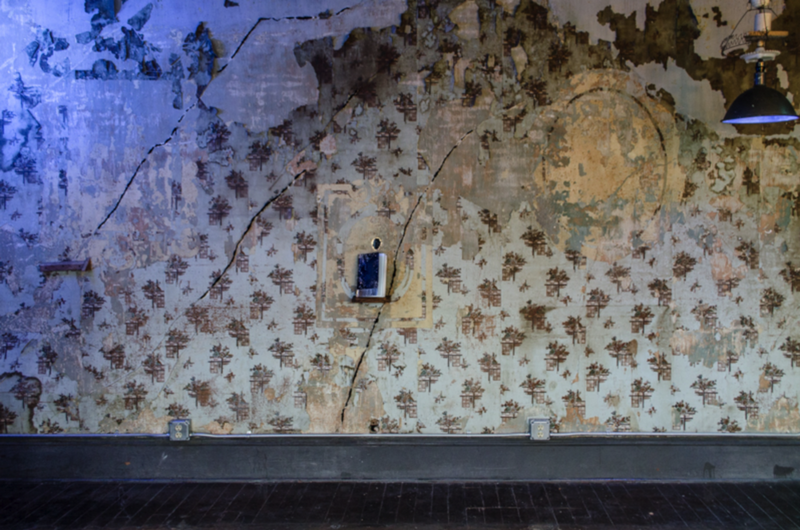 By embedding her hair into the subtle cracks in the walls of the Ghost Room, a secluded parlor on Elsewhere’s 3rd floor, Larkin ensures the conservation of her own physical identity within the museum. The DNA intentionally left behind coexists with the visible and invisible traces of artists, staff, and visitors from across the globe who have interacted with Elsewhere’s collection and spaces. A book can be found in the Ghost Room for people of color who are encouraged to record information about themselves that is not immediately accessible – becoming a time capsule of its own."